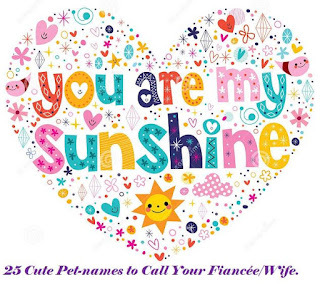 I recently listened to a call-in programme on radio where ladies shared the petnames given to them by their spouses; it was a very funny one! There were two groups of callers: those who had the classic names like Honey, Baby, Sweetie, Darling, etc; and a second group with very absurd ones like Tomato-Jos, Jollof-rice, Omalicha-nwa, Sugar-sugar, etc. I was like. "What???" but then, even one of my besties' pet-name is Burger (she will kill me for this). Interesting right? While some do not like petnames, I believe it adds a certain flavour to a good relationship. 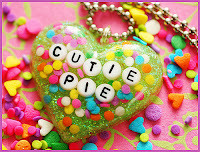 Your wife had already been given a name before you met her, a petname however is a special name you choose for her. 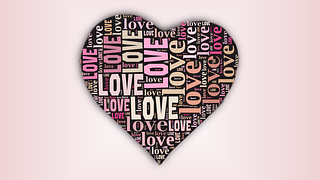 It’s a reflection of how you feel and a form of expression of your love. It’s your own term of endearment and should therefore be chosen carefully. You can choose more than one and can change it frequently. 1. Amazing - says it all! You are enthralled by her. 2. Gorgeous/ Beautiful - A classic that is well loved by all. 3. Brown Sugar/ Sugar Plum - A refreshing twist on the old "Sugar" nickname. 5. Butterscotch - as sweet as butterscotch. 6. 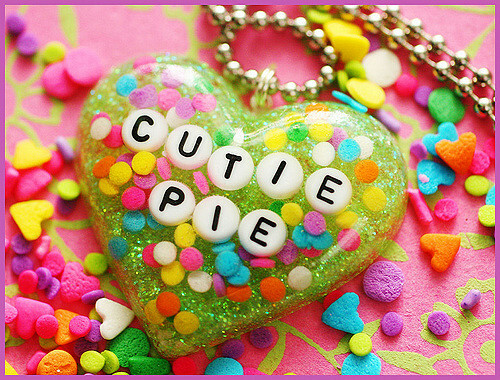 Cutie/Cutie Pie - Make sure she is cute so this doesn’t seem like an irony. 7. Honey Bear/Honeycomb/ Honey Cakes/Honey Dip - If you love your honey. 8. Sweet Cherry/ Sweet Cakes/ Sweetest/ Sweet Candy - She is so sweet. 9. Buttercup - Another nice classic. 10. Blossom - Reminds you of Summer and fresh flowers. 11. 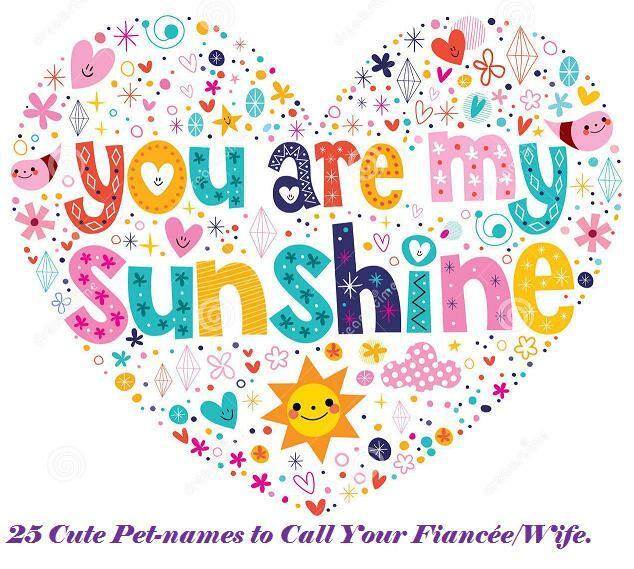 Sunshine/My Sunshine – She lights up your world. 12. Snowflakes - Cute and beautiful. 13. Precious/ Treasure - You value her greatly. 14. Dream Girl - She is your dream come true. 15. Ginger - Spicy and full of flavour. 16. Goldie/ Golden Girl - Very precious, valuable. 17. African Queen -Dark and lovely. 18. Sparkles - Bright, shiny and colourful. 19. Cheesecake/Cherry-pie - Don’t use this if she is trying to loose weight. 20. Snuggle/ Cuddles - You want to always snuggle or cuddle up with her. 21. Dew drops - She refreshes your soul. So go ahead, pick a few new nicknames for her and spice up your marriage. Do you have a unique nickname? Or is any on my list your favourite? Share with us. Haa Sistali, most of these pet names lack local content o.... On a serious note, I think pet names spring from the place of friendship, companionship and intimacy. Oftentimes, it's coded and absolutely exclusive. I will look into the "local content issue". Is it really coded when you use it in front of the kids?